Beware of Greeks bearing gifts; or in the case of this movie, the director gifts us a movie that looks fantastic on the outside, but is a disaster on screen. There is a good science-fiction movie in there somewhere. But because of the poor direction, the movies plays off as completely disjointed, lacking any emotional connection to the characters. The concept for the film is quite brilliant. It takes the alien invasion premise and provides audiences with an original interpretation of this sub-genre of science-fiction. Often science-fiction suffers at the hands of the screenwriter(s) who becomes so pre-occupied with the world and technology of the story that they forget about developing the characters and plot. However, this film suffers more significantly at the hands of the director, but the screenwriting does play a hand in the confusing nature of this film. Incidentally, director Rupert Wyatt also co-wrote the screenplay, so it appears that he should have stuck to writing with co-writer Erica Beeney rather than directing. 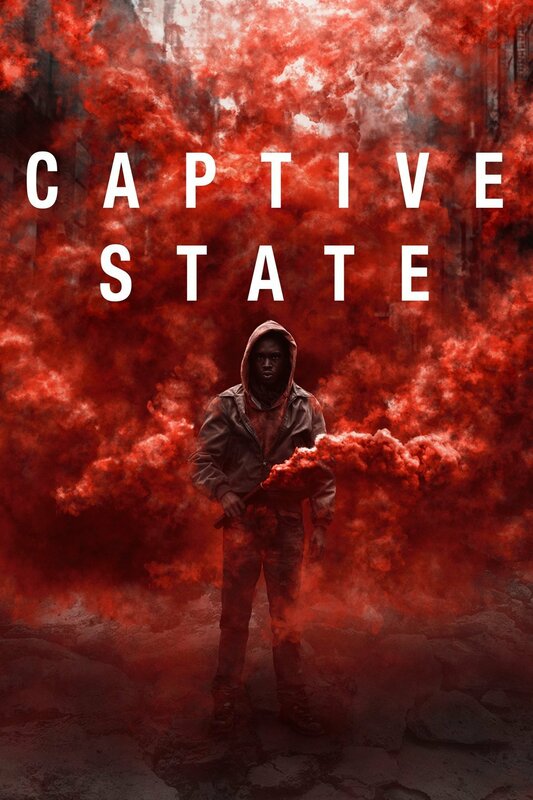 Clearly, there is a solid science-fiction story in Captive State, but the story suffered as it was being written down, and even more damage was done while on set. The idea is original and good! The execution is bad. There is too much exposition in some places, like the beginning text-heavy scene and then too little exposition in other parts of the movie. Characters get introduced then forgotten, and John Goodman and Vera Farmiga are completely wasted. Literally any actor could have played these roles, and even other characters could have had their lines, and it would still play out the same way. I can tell that this movie is trying to provide me a post-modern thought-provoking story, but I am still not entirely sure what I watched. Upon watching it, I found myself grasping for whatever details I could find, and it was not enough to make heads or tails of what was going on sometimes. What we have here is a case of complex plot and simple characters. The antithesis of what makes a good screenplay. The idea for this film is certainly admirable, but the idea was lost in the translation from mind to page, and then from page to screen.